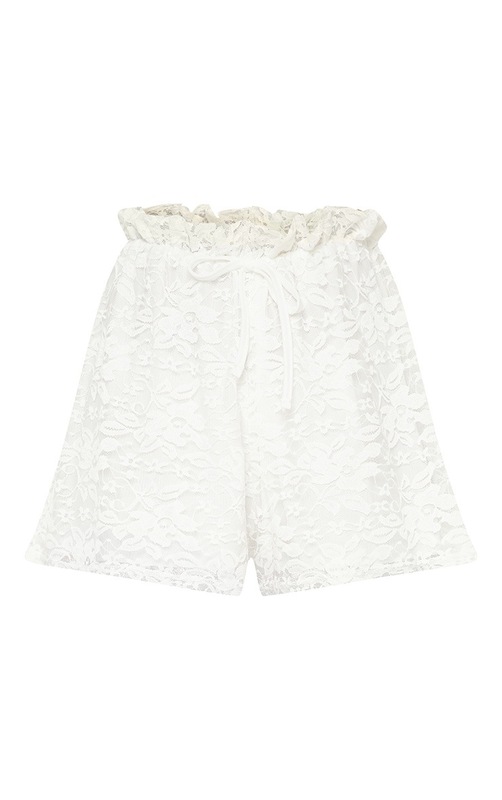 These cute shorts are an ultimate must-have for the summer season. Featuring a white paperbag material with a lace overlay and a tie waist detail. Style these shorts with a bralet and strappy heels and complete the look with gold accessories.